At Milkdot, they believe that good design can be appreciated by anyone, big or small. Milkdot creates and offers you contemporary products with an all-ages appeal. Products that are not only safe for kids, but also fit a kid's need to be cool and unique with the functionality and style that parents love. Each one of Milkdot's products are created with love for design, color, simplicity of clean lines, versatility and love for the world we live in. Not only are Milkdot's product beautiful, they are also safe for your children and the environment. All Milkdot products are PVC-free and have been thoroughly tested for lead and phthalates by a CPSC (Consumer Product Safety Commission) accredited lab and exceeds the CPSIA (Consumer Product Safety Improvement Act) standards. When you purchase a Milkdot product, you can feel confident that you've made a choice that says you love design and that you care to make a difference towards a better future too. Here is my lunchbox all packed and ready to go! 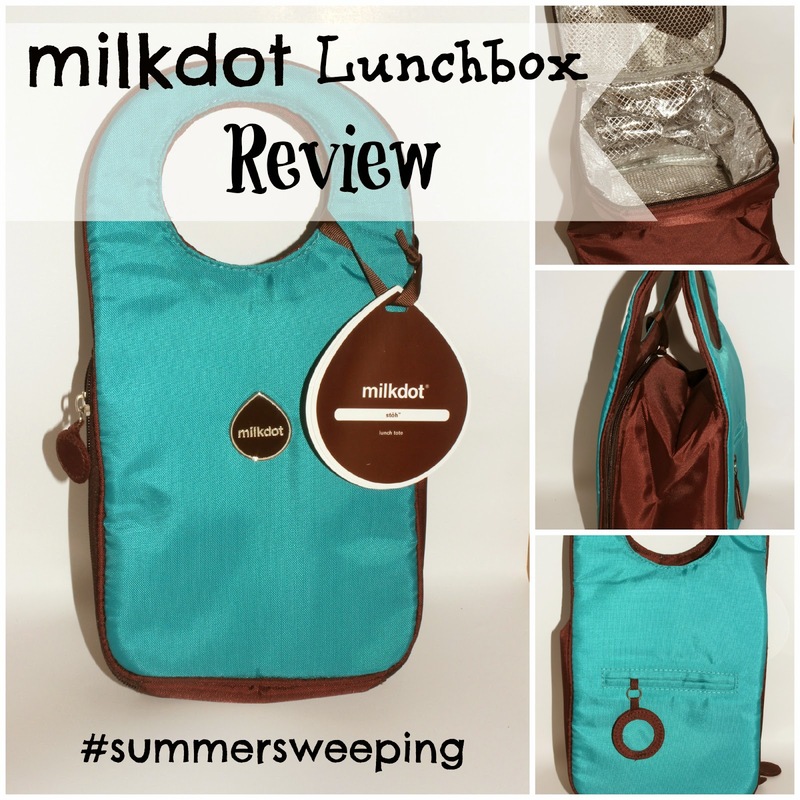 I love that Milkdot's products are great for kids and adults! I picked out the Stöh lunchbox in blue raspberry for review. I love, love, love the color. I think it's more of a bright teal than a blue raspberry color- which I love. It's the perfect Jaguar color for my favorite NFL team! The Stöh lunchbox is a modern yet practical solution for a lunch bag that combines clean and simple design with features perfect for packing your favorite food, drink and utensils. It's definitely a sleek and stylish way to tote your lunch everyday. This is going to be the perfect lunchbox for me when I start teaching again this year! I packed up some meals for Baby Boy while he went to stay with his Grandma for a night. I had no problems fitting everything he needed into the lunchbox for lunch and dinner. 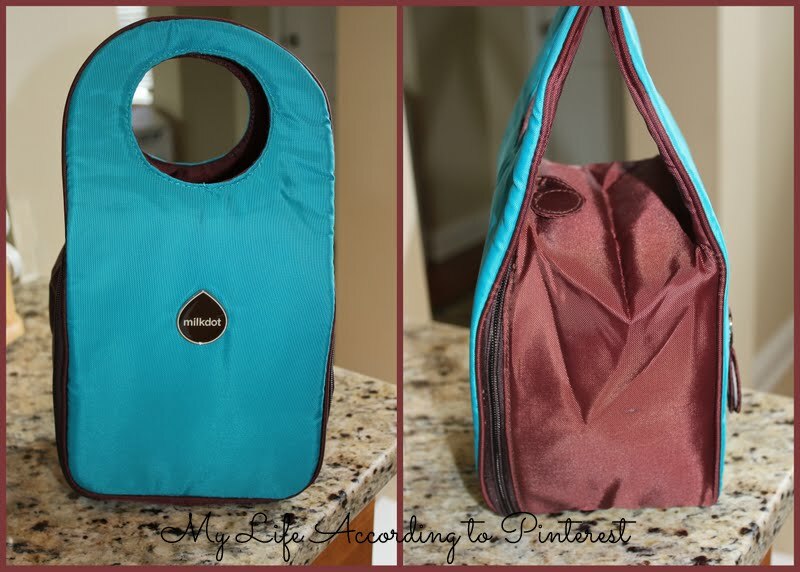 There is a mesh pocket in the top and bottom to store small food, utensils, or ice pack if needed. The foam insulation keeps your food cold for up to 6 hours, so you know your lunch will still taste fresh. Plus, the handle has a hidden magnetic closure to keep the handles together so it's easy to carry. Follow & Connect: You can Like Milkdot on Facebook or follow them on Twitter. Buy It: You can buy the Stöh lunchbox for $25 on their website. 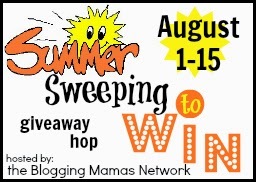 Win It: Come back tomorrow and enter to win one in the Sweeping Summer Giveaway Hop!